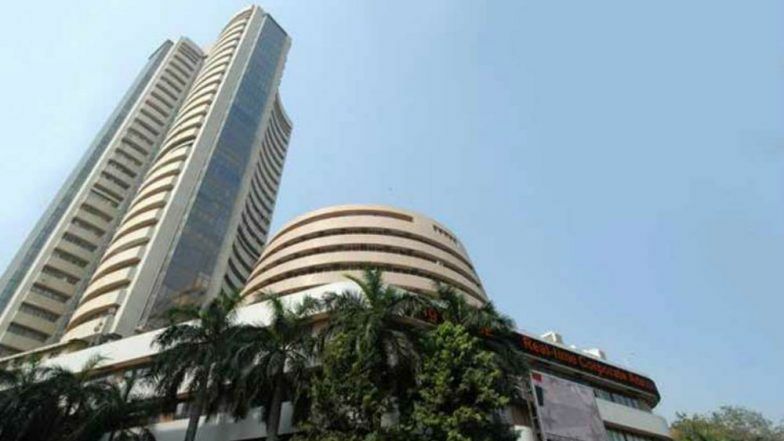 Mumbai, March 26: Both Sensex and Nifty advanced over 1 per cent each during the afternoon session of trade on Tuesday owing to a recovery in the Asian markets. The Nifty PSU Bank index, up 2.31 per cent, led the gains on the NSE while the IT index was the only sectoral index trading in the red. At 2.55 p.m., the Sensex jumped by 412.70 points, or 1.09 per cent, at 38,221.61 after it opened slightly higher. The broader Nifty also gained 124.55 points, or 1.10 per cent, at 11,478.80. A global sell-off was triggered after concerns of a growth slowdown emerged, following weak German manufacturing data on Friday. Besides, the US Federal Reserve's dovish stance on interest rates last week also spooked the markets. Worries had resurfaced about trade relations between US and China, ahead of bilateral talks scheduled for Thursday.